In this post I am going to address on the question “How To Monetize Your Website Without Google Adsense” many think without Google Adsense its not possible to make money online via your website and to be honest Google Adsense is one of the best program available online but there are ways To Monetize Your Website Without Google Adsense. 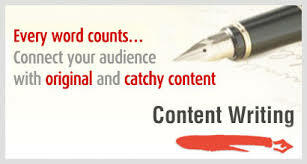 Content writing is one of the best way to Monetize Your Website Without Google Adsense. There are genuine websites who are looking for good content writers. If you are interested in writing and if you enjoy writing this will be a great way to earn money online from your website. If you can write on the topic given to you and provide quality content you can build a long term business relationship. What If I am Not Familiar On The Provided Topic? I had this question, if I am not familiar with the subject or topic given to me to write what to do? Not to worry! You can do your own research and you can write but never ever copy others content please it will create a bad reputation. What Will Be My Turn Around Time? It depends on the company you work with. Some company gives 48 hours as the turn around time (Time you need to deliver your content) you can check with them. How much I will Be Paid? Again it depends on the company you work with. For content with 1200+ words normally in the initial stage you may get around $15 to $25. But experts advice at least you need to charge $30 per article. Experienced writer charges around $80 to $100 per article. When I ask experts the question How To Monetize Your Website Without Google Adsense? I get different types of answers but all of them said one thing in common that is “Your own product” mostly your eBook. Although I am aware of it, writing an eBook was not on my priority list it was on the last place in my list. After hearing success stories and talking with my well wishers (Blogging friends) and to my Coach I realized its importance. Is Writing An eBook Really Difficult? I was thing it as a difficult task that’s the reason it was on the last in my list after knowing its benefits and its one of the best way to Monetize our Website Without Google Adsense I taken it serious and to be honest its not at all a big deal almost I finished 2 books so far my second book is in the final stages. Advantages Of Having Your Own eBook? By sharing your experience and guiding people and helping them you can earn money its like win win situation. And you might be aware by promoting affiliates products your commissions vary from 3% to 60% on an average but by promoting your own product it will be 100%. How does it sounds? 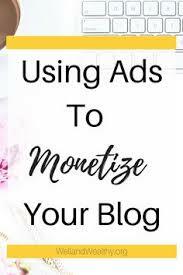 You might think I am going to suggest advertising on your blog yes thats also one of the best way to Monetize our Website Without Google Adsense but what I am going to discuss here is Placing your own ads. You can advertise one service and one product. Your own service and your own product! You can advertise placing a box on your side bar stating that “I can do the content writing for you” and you can advertise your eBook. When I was told about these great ideas it was an eye opener for me. What about you? By writing reviews on quality products and services on your blog and promoting the best products and services you can earn a reasonable income when a customer makes a purchase using your affiliate links. 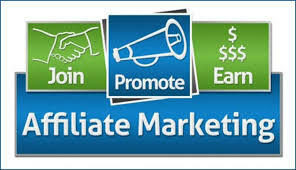 I have written many posts on affiliate marketing and to know more about affiliate marketing Click HERE. Dear friend I hope the five ways I provided on How To Monetize Your Website Without Google Adsense gave you some insights and its working for me and for sure it will help if you implement it. Good to see someone who shares the same insight on writing an authentic content:) Happy to find your blog from qoura. The contents you have written are completely true and authentic. I have completely enjoyed reading your blog. You have done a wonderful job up here. Really happy to hear you enjoyed reading my blog. Thanks a lot and all success! Wow, some really good ideas here. I personally am very interested in content writing, and there is a huge market for talented– and even simply competent– writers. Some very good money can be made writing content for others, and potentially great money can be made writing for yourself. 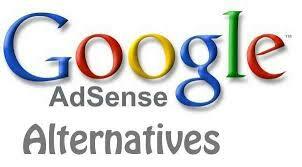 These are some great alternatives to adsense. You are right via content writing we can earn a reasonable income in the beginning but once we are experienced we can earn a lot more. Because I came to know for a post of 1200 words experienced content writers charging $80 to $100. These are all very good ideas. I really don’t want to have ads all over my blog so the alternatives you suggest are very worthwhile alternatives to Google Adsense. Thank you for the great ideas. We need to be cautious that when our visitors visiting our site we don’t just show ads over and over again to them. So that the customer might be feeling bad. I am happy you got some new insights on How To Monetize Your Website Without Google Adsense. You’re so great and I really like that so much. 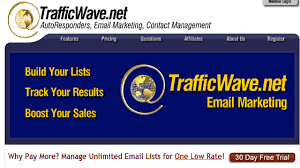 You have opened my eyes to so many options and ways in which I can monetize my website without using Google Adsense. I have tried to apply for Adsense several times with NO success. Anytime I do, I don’t get approved by Google, so I think your option might be the best way I can really monetize my website. 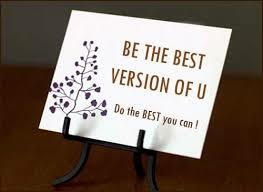 Especially with creating my own eBook. Of course I already work as an Affiliate marketer, but I think if I’m able to create my won eBook, it will be of much help to me. I’m going to work on implementing that now. Thanks so much for sharing this with us. There are different ways to monetize our website and google adsense is not the only on option. I am sorry to hear about your google adsense experience but not to worry as I mentioned in my post Bidvertiser, Media.net & Chitika are the few programs you can try. 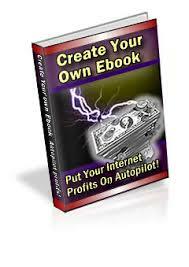 Yes creating your own eBook and sell it on your site is one of the best way to monetize your website. I am also working on my second eBook. Wishing you all the very best on your eBook and online success. Great article and fabulous ideas! I fully intend to implement at least one of your suggestions. I felt the same as you do about ebook writing. I guess I just need to ‘jump in’ and give it a shot. Great idea about placing an ad for your services on your website sidebar. Awesome. Our eBook will make a big difference in our online business growth and branding our business. You need to provide a lot of value on your eBook and people need to benefit from your eBook. Hi Paul, As always you have a ton of great information here to help a blogger like me monetize my business. Ebooks are going to be my next move to make! They make sense to me. Thank you for sharing this! As I mentioned eBook was on the bottom of my list but our own eBook is one of the best way to monetize our website. I am happy to hear you gonna focus on writing your own eBook All the very best! All of these ways of monetizing a website are really good ideas. Writing an eBook is a great way because you get all the profits and not just a percentage like you would with affiliate marketing. Yes that’s what I liked about our own eBook as you mentioned it we are not going to get a certain percentage instead the whole amount and also another benefit is we are branding ourselves as an authority in our niche. Wishing you all success! Hello Paul, It was so helpful to read this page. I have been using adsense for a few months and I have not seen any return. So knowing that there are other ways to promote and monetize will certainly be helpful. Great job! I am sorry to hear about google adsense not making you money but surely I hope it will improve. Yes there are many alternative ways to monetize your website.